SpinOffice has quickly grown to become a widely used CRM platform on the market. Here’s an opportunity for you to earn money simply by referring customers to SpinOffice CRM. Our SpinOffice’s Reseller Program is extremely compelling for any company looking to resell one of the top CRM systems available. We’ve kept it simple; just spread the word about SpinOffice and once people sign up for paid plans, you get paid up to 30%. If the user upgrades your income from that user automatically goes up. In order to take part in the reseller program you need to be SpinOffice Pro user. We’ll provide you with a unique reseller database in which you are able to manage all local leads. You will get paid every month when you reach a minimum of $200. 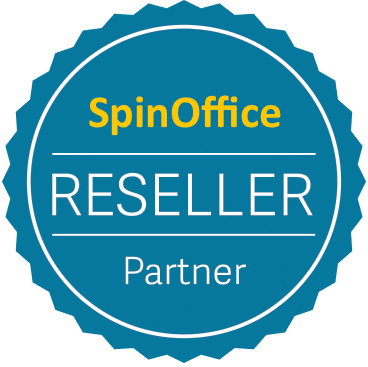 Interested in becoming a reseller of SpinOffice CRM? If you are interested in becoming a SpinOffice CRM reseller, please fill out the application form, so we can gain a better understanding of your interest in SpinOffice. We will be in contact with you shortly!